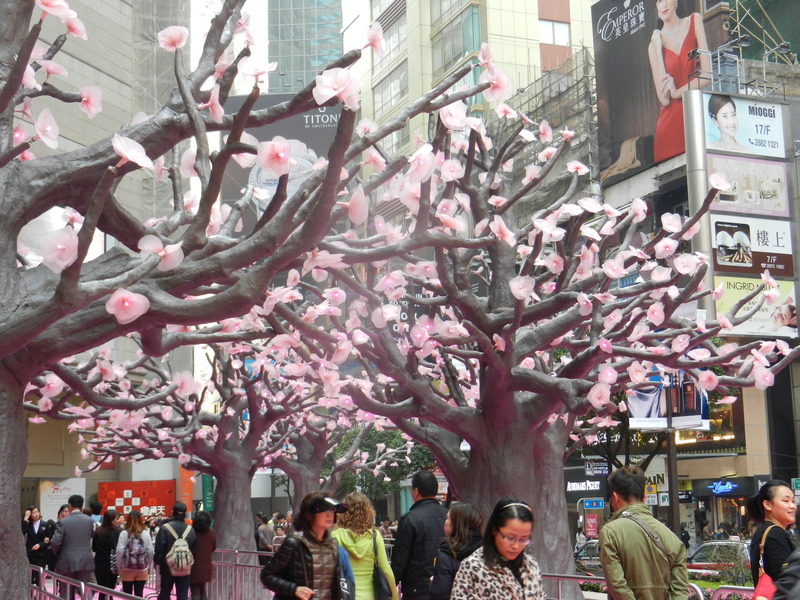 This is outside of Times Square mall, a stylized cherry tree grove. 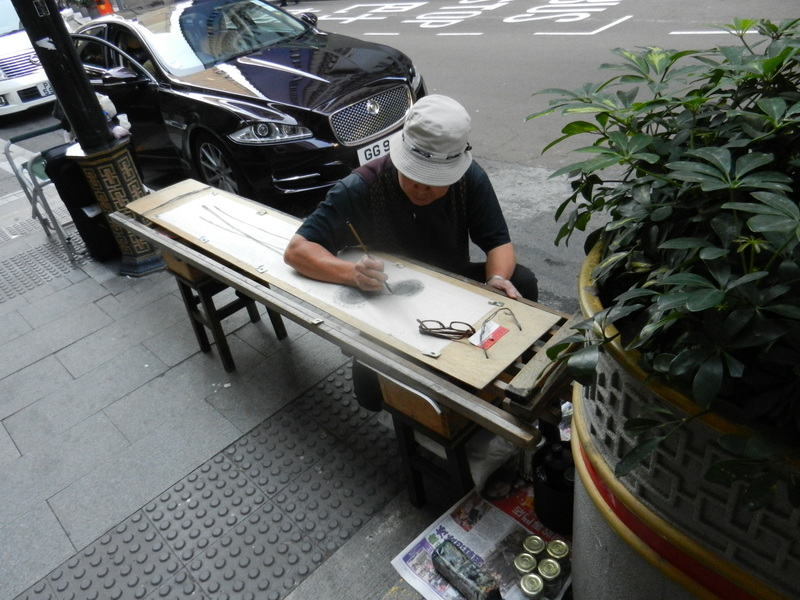 This man was just doing a great drawing, he noticed us admiring his work and smiled. 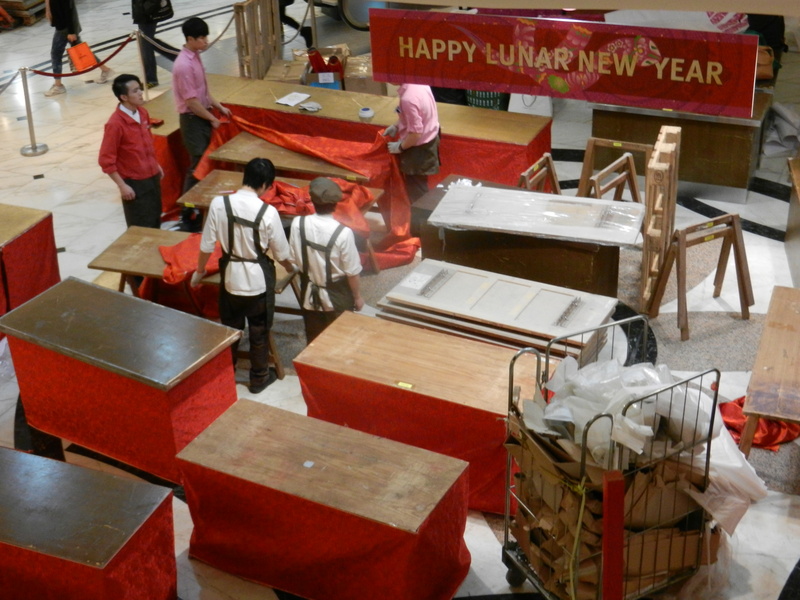 I loved it, not sure if it’s related to CNY, but it’s still awesome. One of my favorite things is photographing artists as they draw what they’re looking at, and I try to always ask before I take the picture. It’s just beautiful to see someone representing their view of reality. 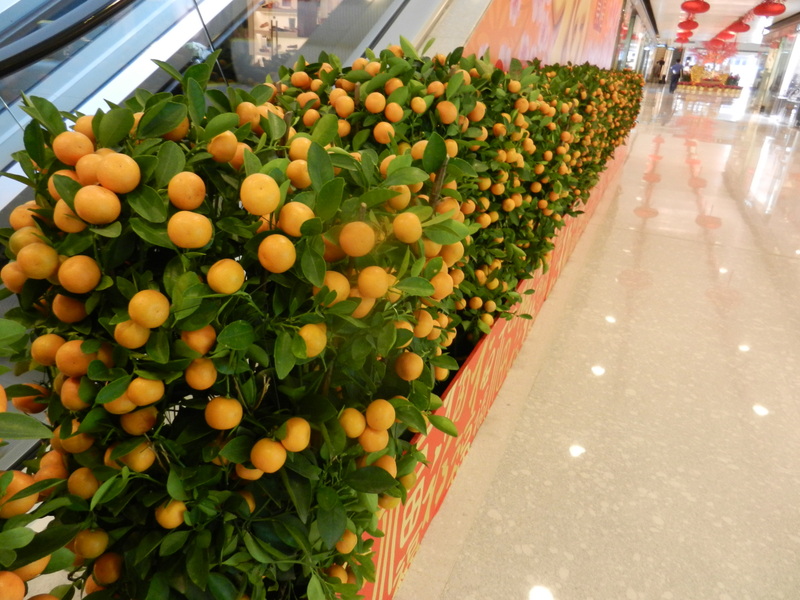 This is a row of shrub sized tangerine trees in action! 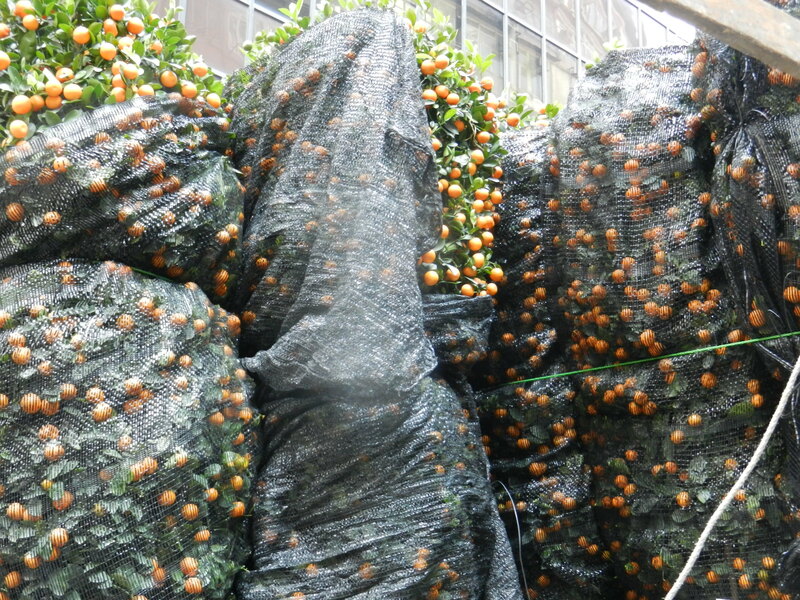 This is yet another common iteration of the tangerine tree, oddly reminiscent of a decorated Christmas tree (or is it the other way around?). 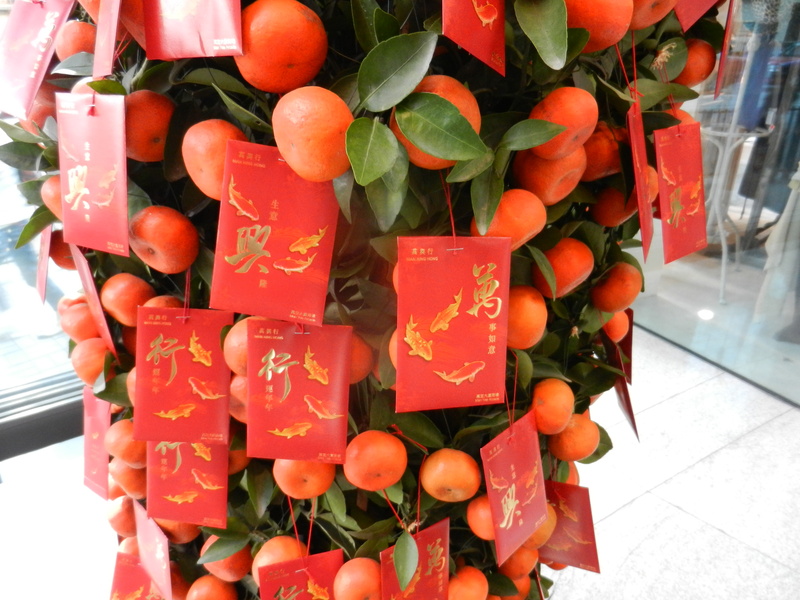 Adults (being married makes you an adult) give out red envelopes with money each year, as good luck. I’ve discovered some new things in photographing decorations, and in some things I didn’t photograph. 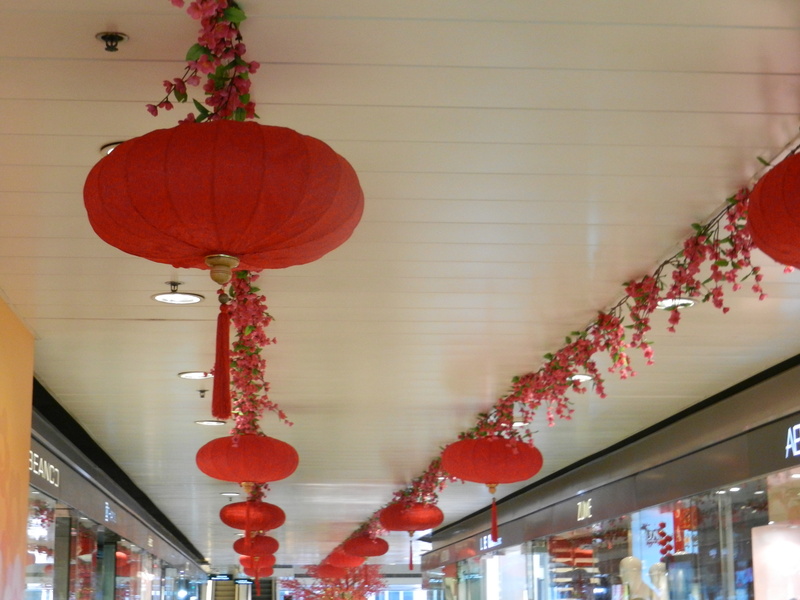 With some friends I discovered that the year of the Snake is unlucky (I’m a snake, so not sure what that means). We also attempted to play a CNY themed dice game that came with our pack of beer. It came with no instructions, everything in characters, with pictures of fish, a prawn, a gourd, a circle, a rooster, and a crab, one for each side of the dice. Even though some of the company spoke and read Chinese, they knew not how to play or decode the purpose of the game. We decided to assign everyone a picture and roll the dice while making up rules for about 10 minutes. 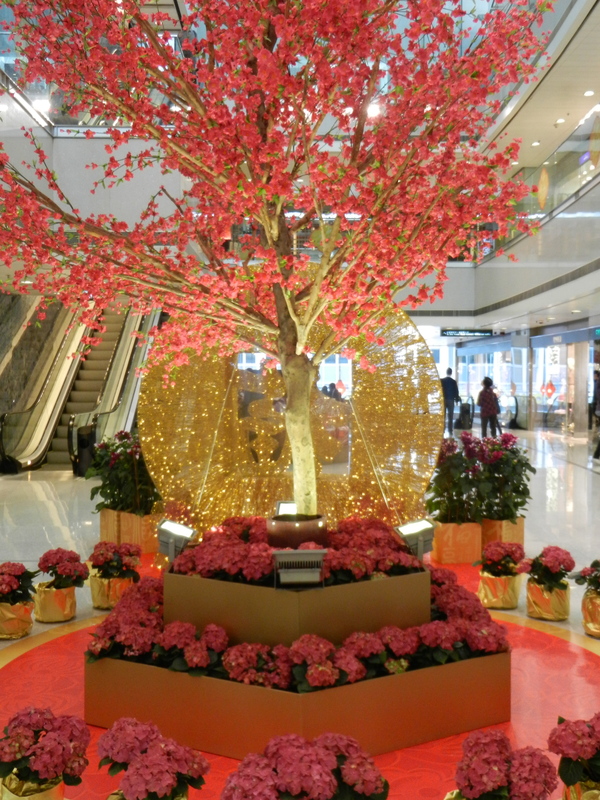 It seems like this time of year is a good excuse for red and pink and gold, as well as generosity. Happy February, I hope it’s an auspicious month for all of us.